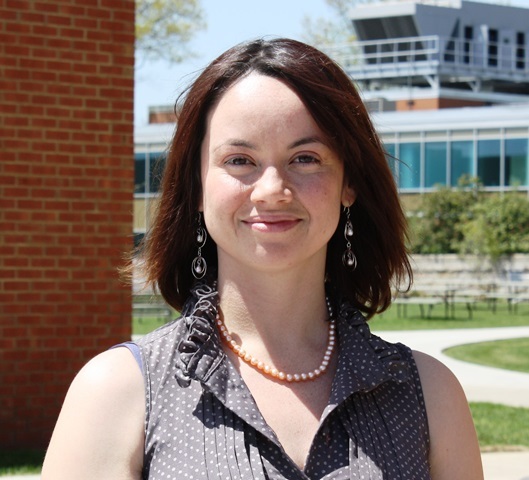 DUBOIS – Associate Professor of Mathematics and Geoscience Neyda Abreu was sought out by a renowned national publication recently for her expertise on the solar system. An article published by Newsweek on May 9, penned by New York City-based science journalist Meghan Bartels, features quotes and other information provided by Abreu, who is an outside expert, not connected with the research. A planetary mineralogist and geochemist, Abreu has conducted extensive research into meteorites and their relationship to asteroids, including a six-week excursion in Antarctica to collect samples there. In the Newsweek article, evidence is presented that an asteroid first discovered in 2004 could be a sign of a significant event occurring in the early days of our solar system. The article explains that traditional asteroids are not found on the edge of the solar system, yet astronomers have always believed some could be there, had the orbits of planets been different or erratic when the solar system was formed. The discovery of this asteroid has given experts reason to theorize that Jupiter and Saturn may have been “wandering” through the solar system, disturbing everything in their path, and casting smaller bodies to the edge of the solar system. In contrast, some small icy bodies originating from the edge of the solar system have, in the past, been found closer to the center. Abreu told Newsweek that the significance of this discovery is that the asteroid could carry both water and organic compounds to the edge of the solar system. With gravitational forces weak at these borders, there is a possibility that such an asteroid could carry life to other solar systems. Abreu holds degrees in astronomy and physics, and a Ph.D. in Earth and Planetary Sciences. Her research interests include understanding early solar system chemistry through the observation of primitive meteorites. She began teaching at Penn State DuBois in 2007.